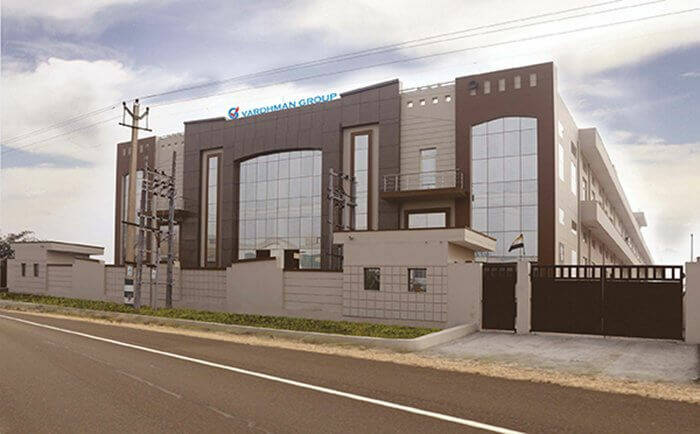 The Vardhman Group serves the masses and the requirements through its world class manufacturing facilities located across Baddi, Delhi and Kundli. All the facilities are equipped with ultra-modern equipment and manufacture indigenous and energy efficient products, in tandem with the ‘Make in India’ and ‘Green Initiative’ by the Government of India. Furthermore, following the same, continuous efforts are made towards expanding production capacities and manufacturing high quality products to limit the import of goods from other nations. To cater the clientele efficiently, the group manufactures the products on a floor span of 7, 00,000 square feet altogether, equipped with automated production lines and inherited from the countries of Japan and Germany.The manufacturing facilities of the brand use stringent quality systems, in order to deliver finesse, efficiency and value for money to the esteemed customers. Backward integration for the product lines ensures the quality of raw materials and performance of the end product. The group has implemented lean manufacturing processes at the facilities,with the help of systems including, Poke Yoke, Kaizen, 5S and 6 Sigma. All the facilities utilize natural day light to work and manufacture goods, in order to reduce energy consumption drastically, as the group’s contribution towards the ‘Green India’ initiative. The harmonious and efficient output created by the employees and futuristic set-up has earned Vardhman Group the title of the largest manufacturers of Room Heaters, Immersion Rods, Irons and Elements, along with the capability to become one of the largest in rest of the categories.